This event is for Tables only. Purchase tickets here. 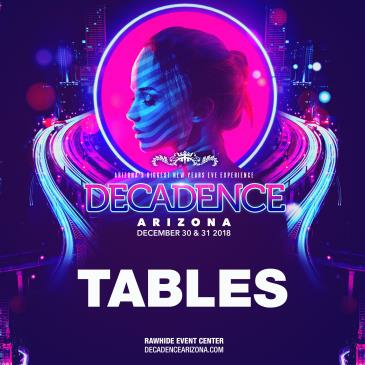 Relentless Beats and Global Dance are proud to present the 5th annual Decadence Arizona New Year’s Eve on December 30 and 31, 2018 at Rawhide Event Center in Chandler, Arizona. This is an 18+ show. 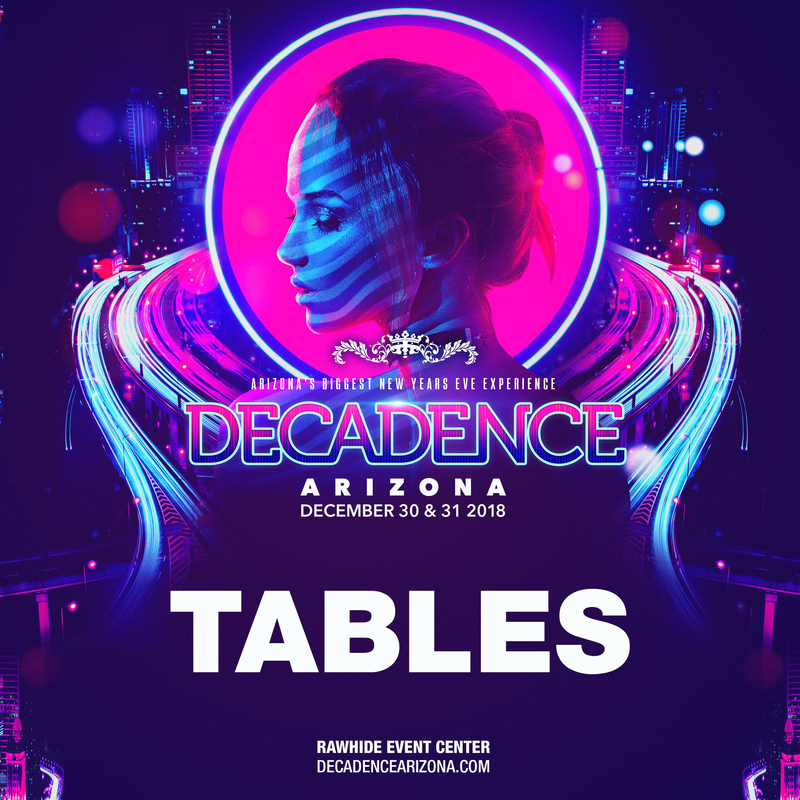 Decadence AZ returns to Rawhide for what is sure to be the most elaborate and breathtaking New Year's Eve Celebration to hit Arizona. Grab your best friends and take part in one last dance of 2018 across 2 main stages and over 25 national acts. 2019 has arrived and its looking bright!